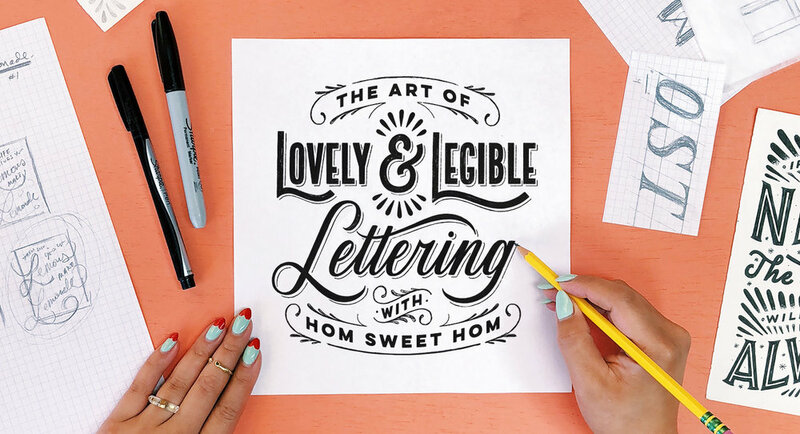 I spent the last two months putting this together...and I am SO excited to finally introduce my brand new online class, The Art of Lovely and Legible Lettering! I personally designed this class to help you create lettering with consistency, charm, and confidence. It's basically like pulling up a virtual seat next to me in my studio for an entire day. I’ll be teaching you my ENTIRE lettering process, all the way from pencil sketch to inked drawing to digital editing. I created this class to give aspiring hand letterers all of the tools and tips that I wish I had known when I started out. Regardless of your current skill level or where you’re at now, this class will help you to get excited about your next steps. Tackle those tricky letters you hate by using my tried and true techniques. Avoid common beginner mistakes that leave your lettering looking less-than-perfect. Craft letters that are both lovely AND legible, so your work has more commercial appeal. NEVER run out of space at the end of a word again (RIP squished second half of so many words). Develop a visual hierarchy so you can conquer composition, once and for all. 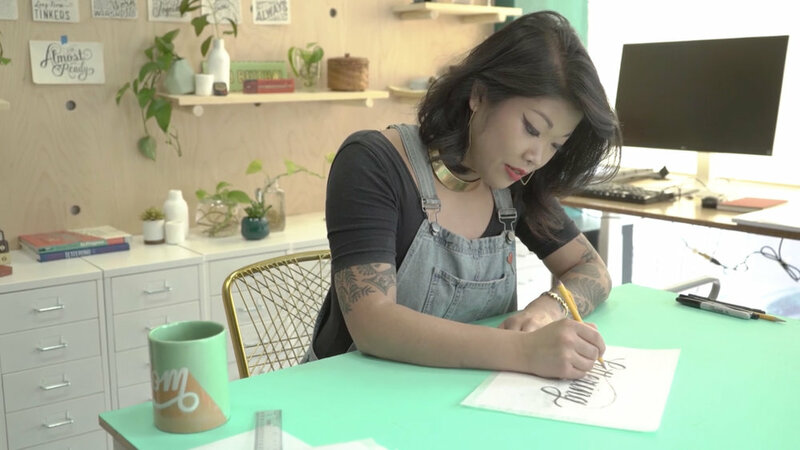 Uncover and utilize a ton of tips and tricks that’ll make your lettering confidence soar. If you've ever wanted to learn how to letter from me, click here to sign up and get started today!